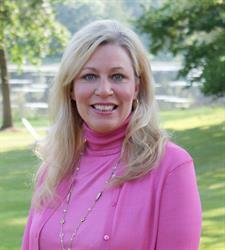 Carolyn is a professionally trained chef, crafting stylist and entertaining expert. Carol began her culinary career at The Cooking and Hospitality Institute, Le Cordon Bleu; there she had found her calling, graduating first in her class. She spent the next few years working in catering, restaurants and teaching cooking classes throughout the country. After having twin boys she continued her passion by teaching cooking classes, freelance recipe development, starting her own company selling gourmet food products and creating small scale parties. She has appeared on NBC Chicago, numerous times on WGN, Carol’s recipes have been featured in several publications including The Chicago Tribune and The Daily Herald and she was a finalist in The Food Networks Great Steak Challenge. Her special talent is creating recipes that are very “doable” for the average person with lots of shopping tips, and from the knowledge she received from catering lots of “do ahead” tips. Carol combines cooking and creating affordable tablescapes for parties that anyone at home could easily replicate. She believes in entertaining with ease, be a guest at your own party, have fun and embrace entertaining and fabulous food! Carol lives in suburbia with her husband, two sons, Lucky the golden retriever and Charlie the beagle. I saw a segment on line that u did on line Five dinners in one grocery bag. I cannot find the recipes anywhere. Can u direct me to where I might find them. Some of the recipes where Barbadoa chicken. Lentil soup. Orzo pasta with chicken. I will post them either tonight or Monday morning, thank you for your interest! CAROL!!!!!!! FOX 32…YOU WENT HOME WITH OUR MIC!!! !